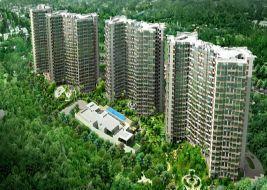 Oberoi Splendor presents your nature friendly dream home. Adjoining the Jogeshwari-Vikhroli Link Road on the south and the vast expanse of the Aarey greens on the north, the views from this mixed use development are nothing short of spectacular. JVLR as a location has a lot of salient features to it.Its location gives it good accessibility to the Western Express Highway to Airport ,BKC ,Nirlon and the commercial area of SEEPZ, Powai, Andheri Kurla Road,Chakala etc..
At the same time the green belt of Aarey and the planned landscaping around it gives it a buffer from the humdrum of the city and nestles the buildings in a serene environment. As you envision your house amidst an eye catching landscape, meticulously planned every detail so that each home makes a statement. Come to be a part of the stunning ambiance of Oberoi Splendor view to the natural beauty of around zone of the city. Rental to be paid on advance of each month and All terms and Conditions will be mentioned in the Leave and License Agreement made by us. Semi Furnished flats -Modular Kitchen Cabinets ,Wardrobes and Aircons. SERVICES OFFERED:Best Service Provided with all Documentation prepared in order. ADDITIONAL EXPENSE: Stamp Duty and Registration Charges to be shared 50/50 and Club /Admin Charge . OUR CHARGE 1month Rent Brokerage. REGISTER: Owners also register with us for best rental deals with good corporate employees.